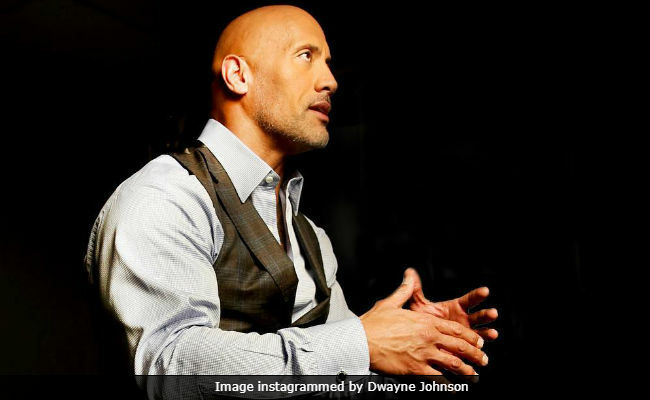 Dwayne 'The Rock' Johnson On His Secret Battle With Depression: "I Was Crying Constantly"
Wrestler turned actor Dwayne Johnson (aka The Rock) talked about his secret battle with depression in an interview with The Express one month after he recalled on Instagram how he had saved his mother from a suicide attempt. "Struggle and pain is real. I was devastated and depressed. I reached a point where I didn't want to do a thing or go anywhere. I was crying constantly," Dwayne Johnson said. A fan recently told Dawyne Johnson that he's battling depression and the Fast And Furious actor replied: "I hear you. I've battled that beast more than once." In February, while shooting for the upcoming season of television series Ballers, Dwayne Johnson talked about the day when his mother tried to commit suicide. Dawyne was all of 15 and they were evicted from their apartment, he shared on Instagram. "She got out of the car on Interstate 65 in Nashville and walked into oncoming traffic. Big rigs and cars swerving out of the way not to hit her. I grabbed her and pulled her back on the gravel shoulder of the road. What's crazy about that suicide attempt is to this day, she has no recollection of it whatsoever. Probably best she doesn't," he wrote. The actor added: "Many of us have been affected by suicide of our friends, family. Struggle and pain is real. We've all been there on some level or another." The Rock was last seen in Jumanji: Welcome to the Jungle, a reboot of Robin Williams' 1995 Jumanji. It was the fifth-highest-grossing film of 2017 worldwide. His upcoming films are Rampage, Skyscraper and Fighting With My Family. Dwayne ‘The Rock’ Johnson's Cheat Meals Are Seriously EPIC: Here's Proof!